All you hear these days is stress, problems and worries. You need strength to deal with these important issues. People all over the world are trying to find ways of relaxation. And what everyone will say is that practicing yoga will reduce all your stress and give you a positive mood. But why not get to the core of these yoga methods? 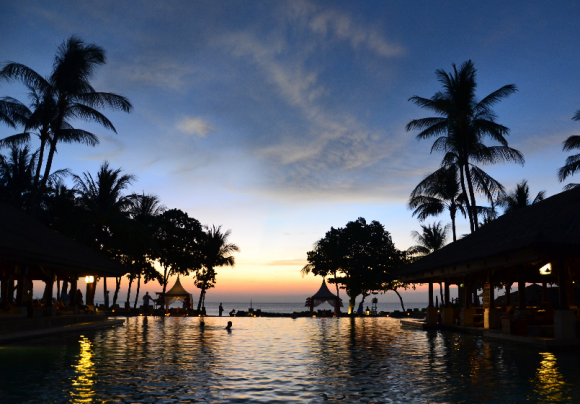 Why not take a pleasant journey to Bali, where yoga originates from? There are thousands of tropical islands throughout the entire world. Many are beautiful and make a delightful to experience; but none seem to have the exotic reputation of Bali. Sure some come close, but Bali seems to have its private category. It is beautiful, exotic and amazing. But what makes her special? Words can’t describe exactly. Yes, the friendly people, the amazing culture and the incredible landscape could be an answer. But the real deal is that you need to visit Bali to make your own opinion. Bali people are warm, kind, they like to smile and make good eye contact. They like to make everybody feel welcomed. Bali is internationally recognized as the world wide centre of healing energy, arts and culture. Spectacular spa and tropical resorts, holistic practitioners and talented artists from around the world make Bali the world’s leading destination for yoga and spiritual retreats, meditation workshops, yoga vacations and total relaxation. After your arrival in Bali all you need to do is fully relax, let go of all you worries and if you surrender completely to love and be open to experience your spiritual connection and the Divinity within. Let the bliss flow and surrender to your inner spirituality. The Balinese perceive reality very differently from any other cultures. It is richer and more complex, embracing not only the temporal realm of ordinary life, but also the unseen and the spiritual dimensions of their ancestors and the Gods and Goddesses, as well as the underworld of bad negative energies. With their religious daily devotions, prayers and oblations the Balinese people focus on keeping these three worlds within their reality and creating a state of balance. Beauty is to be found everywhere in Bali, from architectural landscapes, jewellery, clothing to art. Everything they touch becomes beautiful for the eye sight. Bali is calling you at this very moment. Visit Bali and make an insightful connection with your mind, body and spirit and let your senses be carried away in this exotic, peaceful and breath- taking journey.